At his best, Travis Tritt possesses the versatility to belt out a roadhouse rocker or to sing a stirring ballad with more consistence and conviction than most of his country-music contemporaries. On his latest release, The Storm, Tritt works off those strengths, which makes for a raucous and soulful album. With an infectious riff suggestive of ZZ Top and Hank Williams, Jr., “High Time For Getting Down” best represents the outlaw country-rock style that Tritt invariably lays down so well. Rivaling the intensity of past barnstormers like “Put Some Drive In Your Country” and “T-R-O-U-B-L-E,” this song will likely become a staple of Tritt’s fiery live shows. Likewise, the rough yet steady rumble of “Doesn’t The Good Outweigh The Bad” and the southern funk of “Rub Off On Me” sound like prime material for late-night line dancing and barroom jukeboxes. As well, “Somehow, Somewhere, Someway” recalls a guitar groove that Stevie Ray Vaughan had to have inspired during some sweltering Texas flood. With his Georgia-bred voice resonating deep and distinct, Tritt delivers the album’s most sensitive performance on “I Don’t Know How I Got By,” a tender ballad that questions the meaning of life without having someone in it to love. Just as expressive, yet evoking a more menacing sentiment, “The Pressure Is On” speaks of a man’s conflicted conscience in loving two unwitting women at the same time. Before the hum of a gospel organ underscores the tension, Tritt begins the track with an acoustic guitar, moaning, “I got someone back home/Don’t know what’s been going on/Thinks I love her and her alone/And the pressure is on”. 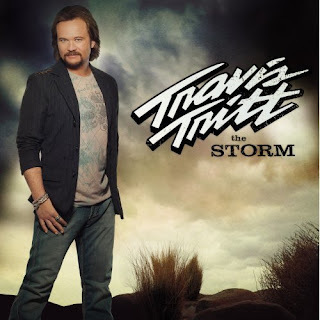 Overall, The Storm symbolizes Travis Tritt’s consistent ability to make music with conviction, music that doesn’t resort to cliché or contrivance. The songs sound inspired. The subjects and the emotions they convey sound genuine. In the end, that’s really all one can ask for in music.